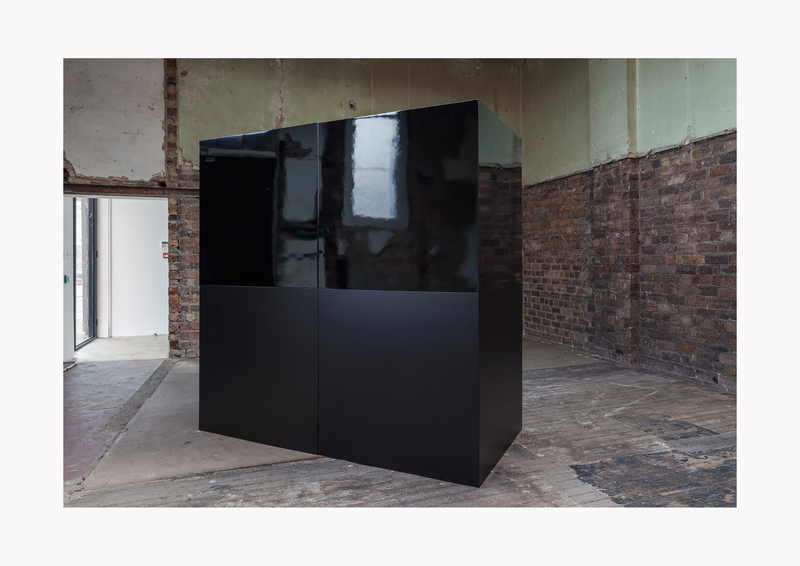 As part of Glasgow International 2018, The Modern Institute presents ‘Black Cubes’, a Sol LeWitt work from 2000, installed within the Aird’s Lane Bricks Space. 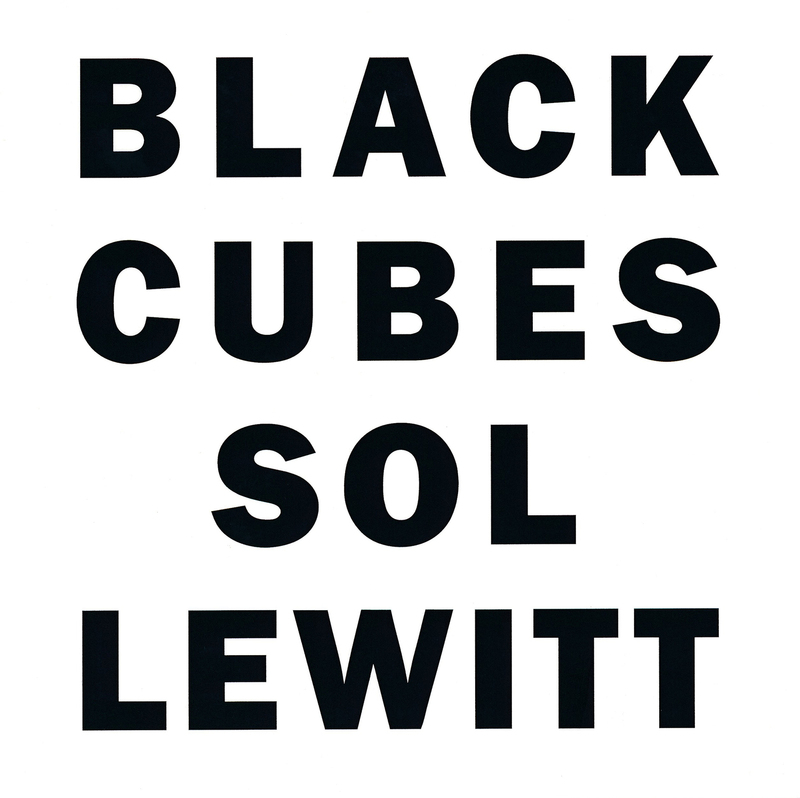 Sol LeWitt is a leading figure of Minimalism and a pioneer of Conceptual art. Redefining art production by exploring ideas rather than conventional aesthetics, he distilled art to its essentials. 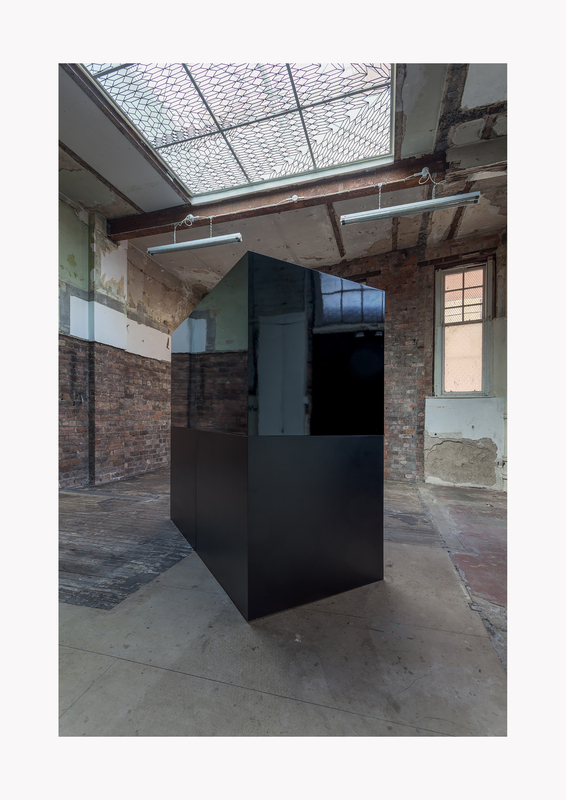 Using the cube as a ‘grammatical device’, LeWitt’s work is characterised by serialisation, repetition, and progression, exemplified by his iconic open-grid structures. Studying systems of line and colour, his prolific output of wall drawings represents a breakthrough in his career and solidifies his engagement with two-dimensional practices spanning painting, drawing, photography, and printmaking.